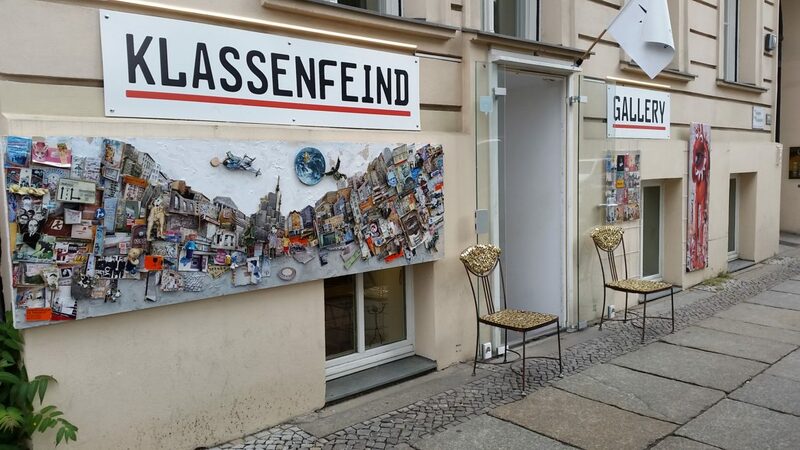 BAA’s flagship gallery, Klassenfeind Gallery, opened its doors for the first time in June 2015 in the Mitte district of Berlin, just five minutes walk from the old Tacheles, and was open until its closing in March 2017. A gallery that was different to all the others, that wanted to revive the art and subculture of Berlin. A place where people could collect experiences, not objects. Therefore, to us it was important, that locals and tourists alike could have fun with the art, meet the artists, speak with them, and that they could also bring home unique art from Berlin for an affordable price. Visitors were best advised to use the nearby S-Bahn stations of Oranienburger Straße or Hackescher Markt or the U-Bahn station Oranienburger Tor. Arriving by Tram was also easy; simply useing the M1 or M5 line and hoping off at Monbijoupark station.